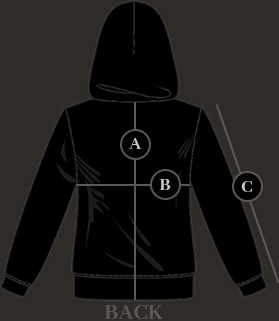 'The Satanist' Behemoth hooded sweatshirt with zip and pockets. The Key and Behemoth Logo on the front, 'The Unholy Trinity' symbol on the back, 'The Ungod Sigil' on the hood. Behemoth branding and "The Unholy Trinity" zipper. Dear Behemoth Store, It's been a few month now that I wish to buy either the Satanist or the Phoenix hooded sweatshirts, but there out of stock since then. I would like to know if there will be new stock coming anytime soon. or if it is possible to order one of them. Thanks for your help ! hello, The Satanist one will be in the store at the beginning of April : ) thank you!